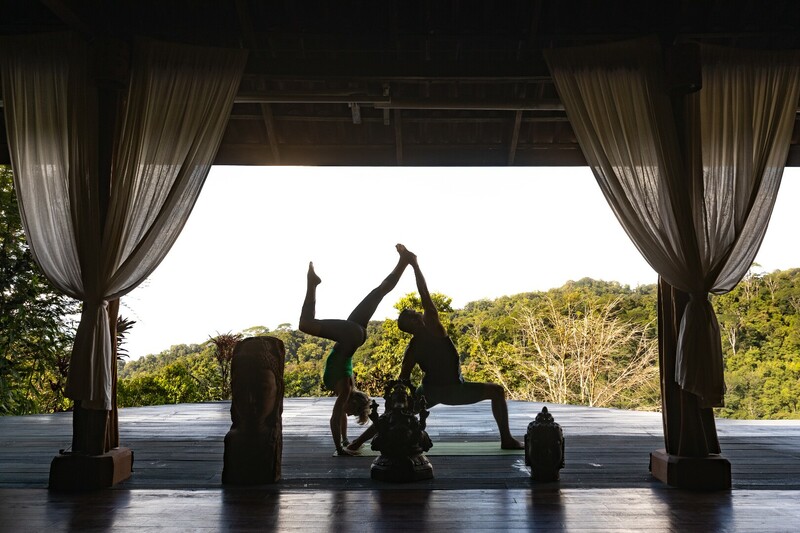 The 1600 square-foot, open-air covered platform is ideal for a wide variety of retreats and classes. Situated at the top of the Luna Lodge property, The Retreat Center has awe inspiring views of the Pacific Ocean, rainforest, and wildlife. Luna Lodge is a superb retreat facility with sleeping accommodations for up to 34 guests, based on double occupancy. 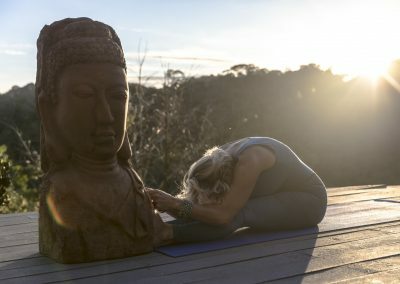 We are honored to have had Yoga, Tai Chi, Nia, Reiki, massage therapy, and aromatherapy therapy retreats share our space. 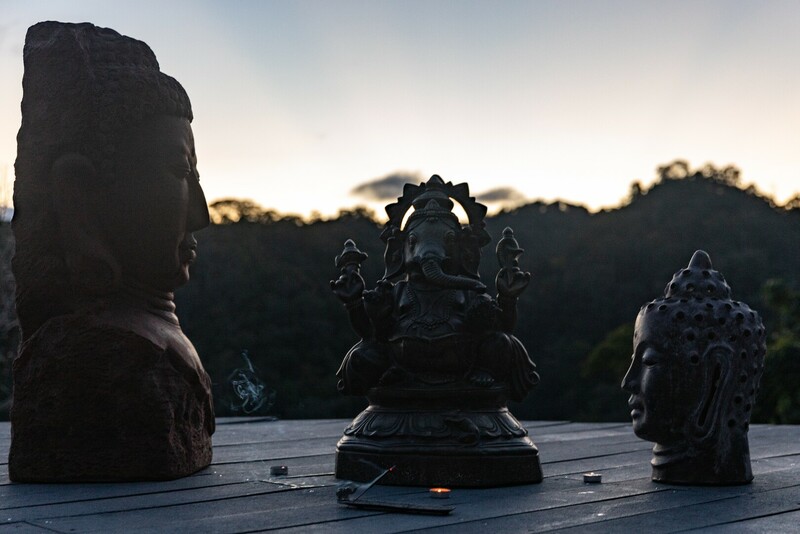 The solitude of the rainforest surroundings is also great for language study, creative writing, meditation, guided relaxation, vocalization, and business workshops that need meeting space- any activity that would be enhanced by solitude and privacy. 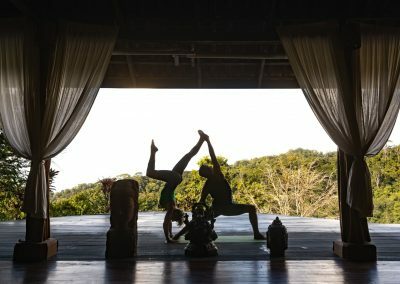 With our yoga sessions your body unifies with your soul and you will be able to unwind through asana (pose) and pranayama (breathing) exercises. 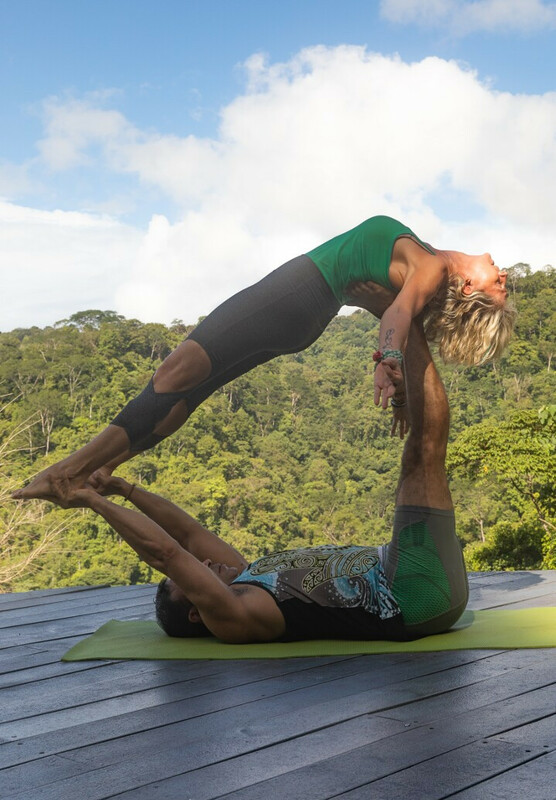 The instructor guides you through the session, gently improving your flexibility and promoting a sense of peace and well-being. Suitable for people of all levels. 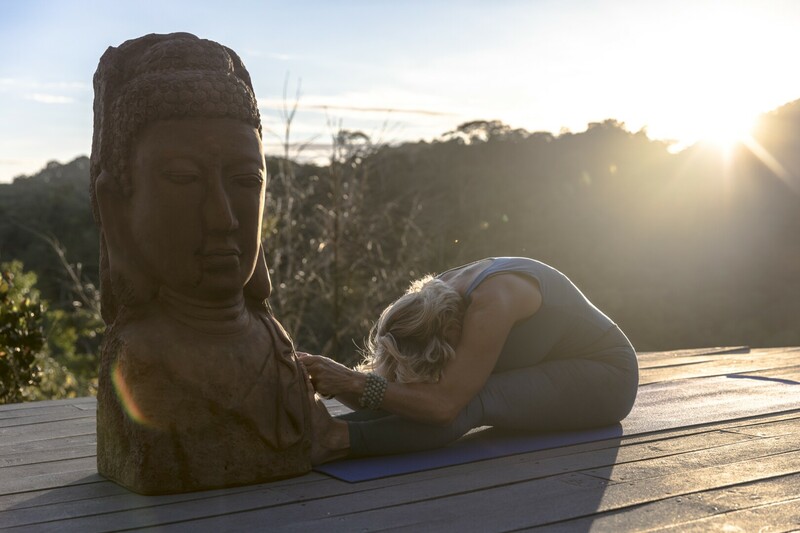 For those with no prior experience, our sessions provide a good introduction to yoga. Yoga mats, bolsters, blankets, blocks and straps are all provided as part of the retreat fee. A sound system with audio-in connection is available for use, suitable for all iPods, phones and mp3 players. Gluten-free, vegan and vegetarian meal requests can easily be accommodated. Meals for groups of 34 can easily be accommodated at the Rancho as our restaurant is fully staffed. The Rancho is also available for meetings and workshops. Your retreat participants will be fully supported by the front of house team at Luna Lodge. 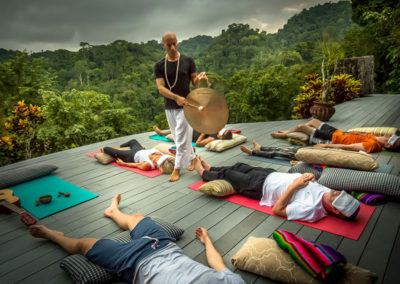 Massage appointments, tour and activities requests, and meal requirements will be handled by our team, leaving retreat leaders to focus on leading the retreat. 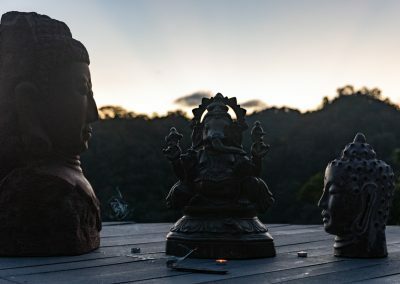 We are thrilled to have so many retreats joining us this year, please see the full list below. If you would like to participate in any of the retreats, please contact us for more information. Are you interested in hosting your retreat in an awe-inspiring, beautiful, supportive environment? Please connect with us to discuss the details.